Actor Prithviraj has been a part of August Cinemas along with internationally acclaimed director-cinematographer Santhosh Sivan and entrepreneur Shaji Nadesan ever since it was founded in 2011. Actor Arya later joined the production/distribution company that has produced seven films in Malayalam including Urumi, Indian Rupee, The Great Father and Anuraga karikkin vellam. 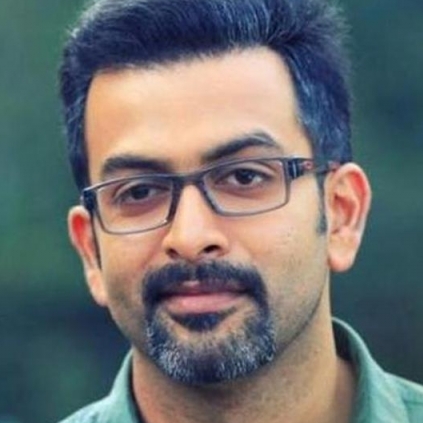 Recently Prithviraj announced through Facebook that he would not be the part of the company anymore. He said that he has signed off from the Director Board and also added that he will always be with them a well wisher. He wrote, "The end is always a beginning. It's been six years and more. Back in 2011, out of a dream to create a film that would truly attempt to make a statement on the excellence in Malayalam cinema, Santosh Sivan, Shaji Nadesan and I joined hands to form August Cinema Pvt Ltd. Through the last six years, we have continuously striven to facilitate deserving and aesthetic cinema, and I genuinely am thankful for the efforts of my partners in doing the same. Today, I believe that it's time for me to start traveling on a different tangent, and on that journey, I might not always be able to be part of a partnership. So with great memories, heartfelt gratitude and some films that I will be proud of forever, I bid adieu to August Cinemas. I will always remain a well-wisher of the company, and I have faith that the brand will continue to be associated with the kind of films I set out to make with this dream. Wishing Shaji Nadesan, Santosh Sivan, and Arya the very best in the journey ahead." People looking for online information on Arya, Prithviraj Sukumaran, Santosh Sivan, Shaji Nadesan will find this news story useful.